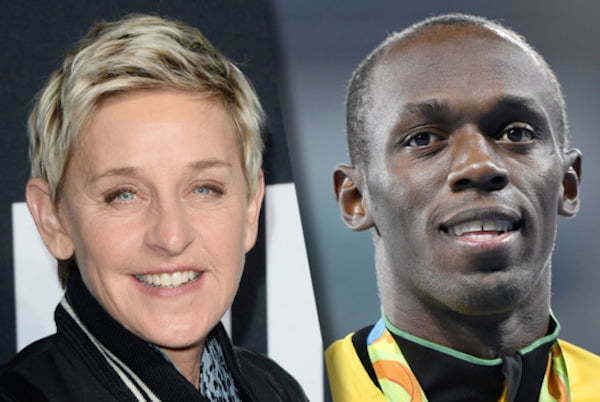 Usain Bolt has finally reacted to the big uproar on social media over a tweet sent out by talk show host Ellen DeGeneres. 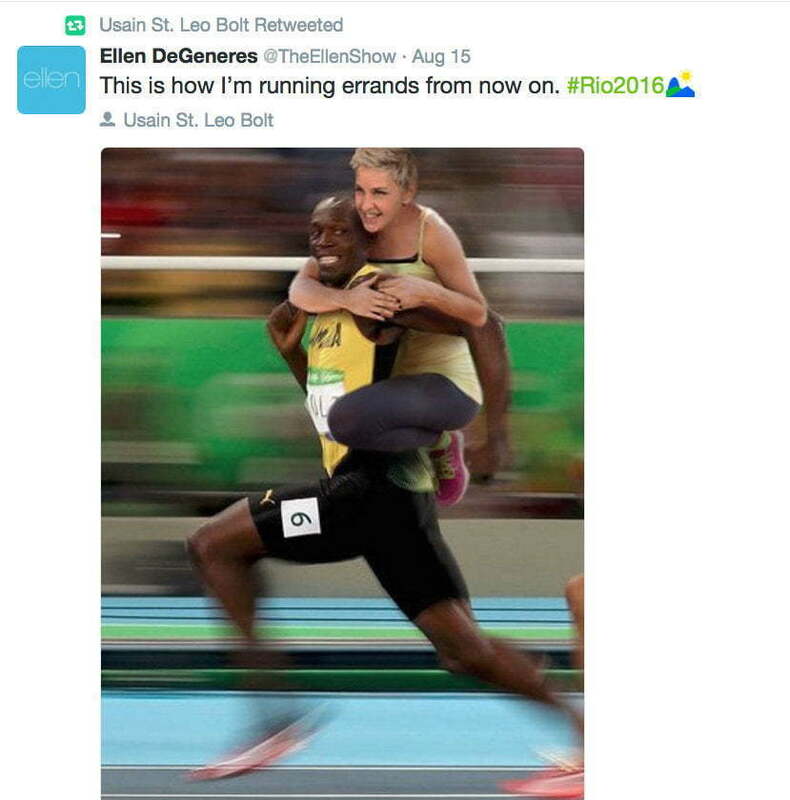 Yesterday the internet went wild after some folks on Twitter accused Ellen of being racist when she posted a photo of Usain Bolt photoshop with herself riding on his back. Folks were evenly split down the middle with some defending the tweet as just a simple joke. Usain Bolt has spoken and chosen his side in the divide. “This is how I’m running errands from now on. #Rio2016,” The Ellen DeGeneres show host wrote. I personally think that the tweet is a simple joke and not racist. She was just pointing out that Bolt is so fast that even if she is on his back he would still win the race. Seems Usain Bolt also agreed and retweeted the original tweet from DeGeneres. While everyone is busy debating Ellen DeGeneres tweet, Usain Bolt is currently getting ready to hit the track once again to win his third 200 meter Olympic gold medal. There is nothing offensive about this.